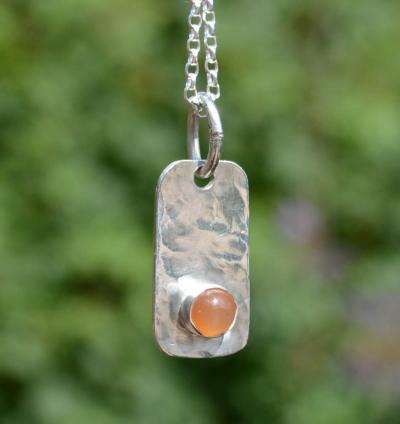 A one-off pendant handmade with love at Kacha Stones. A 5mm pink moonstone in hammered sterling silver. Handmade from scratch with untreated natural stones at off-the-shelf-prices. 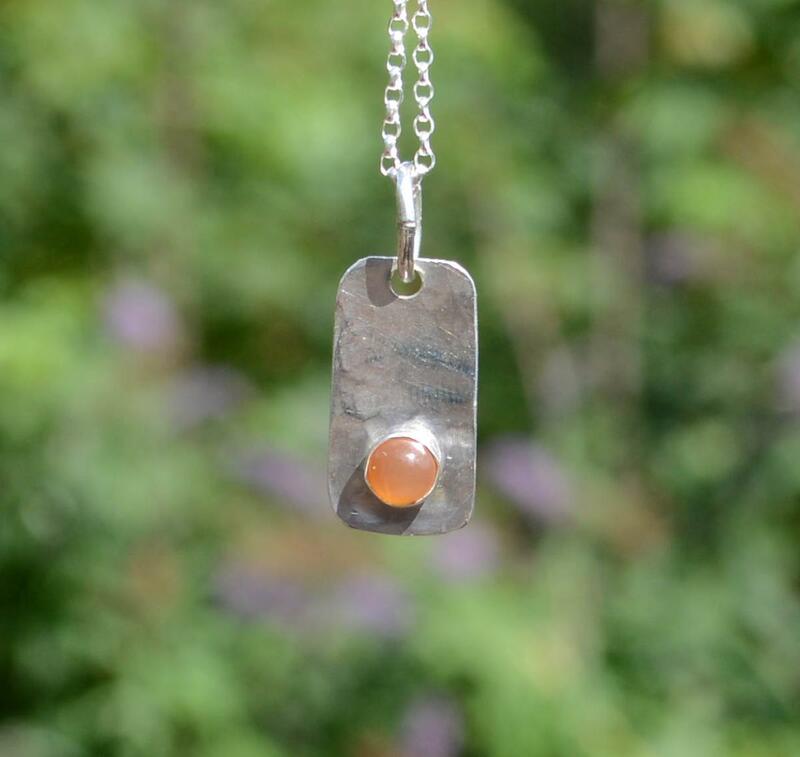 "The energy of Moonstone is balancing, introspective, reflective, and lunar. This is a stone for hoping, wishing and new beginnings. It brings flashes of insight: understanding via intuition and emotional "thoughts", rather than through intellectual reasoning. Moonstone helps one to recognise and make peace with the changing cycles of life and assists one in the total fulfilment of one's destiny. Moonstone can be used to alleviate emotional tension and to enhance the positive attributes of creativity and self-expression.” Melody, Love is in the Earth.